As promised, the next Chat–on time! Welcome to the July Literary Mary Chats, happily posted in July. This month I am pleased to introduce you to a prolific author I met through Facebook. K. J. Gillenwater has a B.A. in English and Spanish from Valparaiso University and an M.A. in Latin American Studies from University of California, Santa Barbara. She worked as a Russian linguist in the U.S. Navy, spending time at the National Security Agency doing secret things. 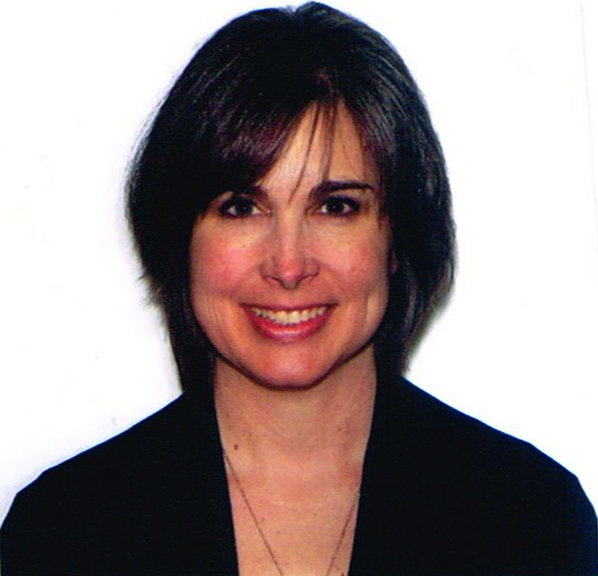 After six years of service, she ended up as a technical writer in the software industry. She has lived all over the U.S. and currently resides in Idaho with her family where she runs her own business writing government proposals and squeezes in fiction writing when she can. In the winter she likes to ski and snowshoe; in the summer she likes to garden with her husband, take walks with her dog, and try her hand at gold panning and huckleberry picking. She has written several paranormal suspense books and plans on writing more. K.J., you have traveled a lot and lived in several locations. I’m wondering if those experiences affect your style and voice? How does the exposure inform your writing? I think having lived in many parts of the world—California, Texas, Indiana, Maryland, Virginia and now Idaho as well as studying abroad in Mexico—I have a lot to draw on when it comes to setting and the differences in social norms and perceptions. Also, my experience with Spanish as a student in a foreign country opens your mind to different cultures as well. In my book ACAPULCO NIGHTS I had a lot of fun exploring the difference between how divorce is perceived in Mexico versus the United States. I also was in the Navy for six years, and this has influenced my creativity and where my mind goes when I am looking for that next bit of writing inspiration. My background is what makes me unique and drawing on that background to use as a foundation for my writing will only make it easier to market. The publishing world is always looking for an ‘angle’ to sell an author’s work. So if my experience as a Russian linguist in the Navy or as a student in Mexico will help portray me as an ‘expert’ in one area or another, it can be a wise move to use those experiences in your writing. Your bio mentions that you run a business, work on freelance contracts, and squeeze in writing. What is your squeezing routine? Describe your ideal writing schedule. Because I run my own business and create my own work schedule, I’m pretty lucky as an author. I can set aside my serious, workaday projects and spend a little part of my day on my creative pursuits. However, there are times when I get incredibly busy in my business – working six days a week sometimes for a month or two – and then my books get put on the back burner. It can sometimes kill my muse and make it hard to finish a project that has been interrupted. I recently started using Scrivener (an author-created word processing software) to help me better manage my writing time. You can set goals for yourself and the software keeps track for you. For example, I currently want to write 5 days a week (Monday through Friday) and want to finish my book by a set date. Scrivener will calculate how many words I need to write on that 5-times-a-week schedule to meet my self-imposed deadline. It really has helped me push out the story more quickly. Last summer, I think I was writing about 1200 words per day. At that rate, I could finish a book in about 3 or 4 months. A record for me! But then my day job got in the way and ruined my pace. Which was really a bummer. Hard to get back on the horse after you’ve been bucked off. My ideal would be to have a couple of hours a day to devote to my creative writing. I can only write so much before I run out of gas. But because I am a fast typer and don’t dither too much over my words, I can get a lot done in those two hours. I love that you write short stories! And I love that you publish your collections. How do you handle your ever accumulating ideas, inspirations, and brilliant tidbits jotted on the back of sales receipts? Years ago, I thought I would only ever be able to write short stories. I never seemed to have a big enough idea to turn into a novel. So that is my first love in many ways. About 3 years ago, I found a fantastic app called Wattpad. It is an app that allows writers to publish their stories free and readers to read them free. I was attracted to Wattpad for the wealth of ideas and contests that exist, plus you get feedback from readers all over the world. I LOVE to have writing challenges, and I found some great ones in the science fiction area of the app. They had a new challenge all the time, so I would pick and choose the ones that inspired me most. Every single one of my short stories is connected to Wattpad in some way. Funny how creative you can be when there is a challenge thrown and a short deadline. I won a couple of these contests, so it only fed my addiction to write more. After I figured out how easy it is to self-publish on Amazon, instead of letting my short stories disappear I decide to group them together into mini short story collections. Why not try to make some money off of my work? You also never know who might stumble across my writing and go looking for more. I also ended up meeting other great writers on Wattpad, and we’ve collaborated on a couple of short story collections: NEMESIS and UNDEATH BY CHOCOLATE. 1) In my own head. I will have a sudden inspiration for a book. I ruminate over this idea for a while and let it stew. I come back to it again and again and get the basic beginning, character sketches and ending. Eventually, I open up a file and start going! 2) News clippings. I will run across a news story that inspires me in some way. I will save that news story in a folder and possibly come back to it in the future. 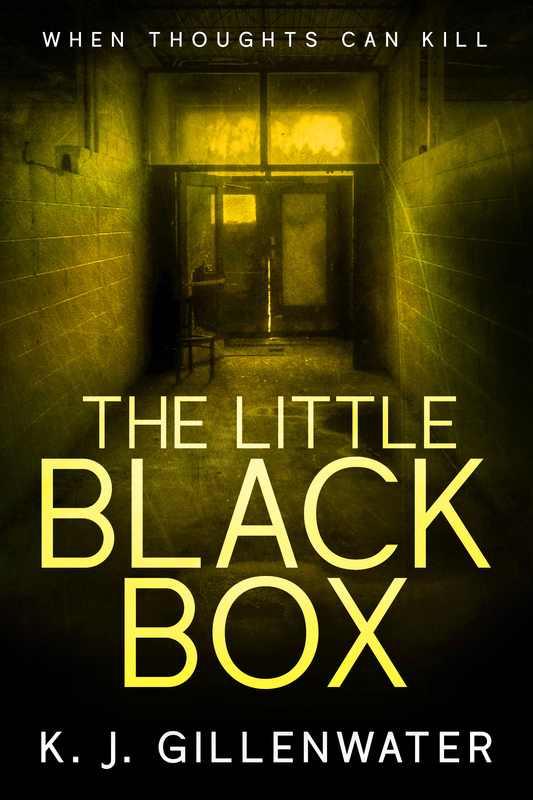 My upcoming release, THE LITTLE BLACK BOX, was inspired by a news clipping! 3) An “ideas” folder. If I have a breakthrough idea that I just can’t seem to shake, I will start jotting my thoughts down in a Word file and then save it to my ideas folder. I have lots of partially-started things in there. Who knows if I will ever pursue these ideas, but I can’t help but keep track of them. Looking back over your career, what is the most important piece of advice you would give aspiring authors? What do you wish you had known/done sooner? Keep writing. You can’t edit a story until you finish it. One of the hardest things for any writer to do is to turn off her internal editor. Your internal editor tells you that your story stinks, that you used the wrong word, that the paragraph you just wrote is totally wrong and needs to be reworked over and over and over. Ignore that dumb internal editor! That is the hardest part of writing. But once you can silence the internal editor and let the words flow, you will be amazed at the results. What can kill a book the quickest is too much reading and tweaking and fixing rather than just finishing. Trust me, you can repair any part of your book that doesn’t make sense, any ugly sentence, any problem in the editing phase. But if you don’t finish the book, you have nothing to edit. Completing the book is NUMBER ONE. What are you currently working on and what are some publication goals for your future–if you had an Author Bucket List, what would be on it? I am currently working on another romance about dredging for gold in the Bering Sea in Nome, Alaska. For those who love tv shows about Alaska, I’m sure they know where I got my inspiration! I am going on a Writers’ Cruise in February 2019, so my goal is to have the draft finished by October with time to edit and tweak before I have the opportunity to pitch my book to some of the industry people who will be on the cruise. 1) I want to write a new book every year. I’ve been WAY too slow in producing new material, and I know that the best thing I can do for my writing career is keep writing. You never know when a book might ‘hit’ with an audience. 2) I really want to finish a science fiction suspense about a Navy linguist that I’ve been trying to complete for quite a few years. It is next on my list after the Alaska romance, as it is about 1/3 written already. I think I can crank it out using Scrivener’s organizational tools and goal setting features. It has series potential, which is all the rage these days. 3) I would love to find an agent or publisher who ‘gets’ me. I am not a cookie cutter writer. My ideas are a bit off the norm, or so I’ve been told by reviewers. THE NINTH CURSE was one of those books…one professional reviewer said: “A romantic paranormal thriller, this one is unlike any other paranormal romances I’ve come across.” This kind of review is very typical for my books. I think I create some surprises in my writing because of the unique nature of my writing, which may make it hard to stick me in a single genre. But I’m all right with that. I write what I love to write, and if the industry can’t figure out where I fit, I’ll just continue to self-publish. This entry was posted in Literary Mary Chats and tagged #OrderReadReview, Acapulco Nights, KJ Gillenwater, Literary Mary Chats, Mary Lamphere, Nemesis, Scrivener, The Little Black Box, The Ninth Curse, Undeath by Chocolate, WattPad. Bookmark the permalink.